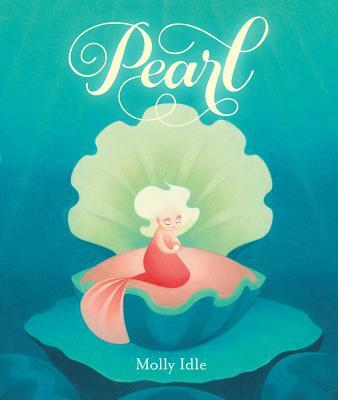 Pearl is a lovely story about a little mermaid who is looking for her place. Some mermaids tend to the great beasts of the sea, some guard the beautiful coral reefs, and some roll powerful waves onto the beaches, so Pearl is sad and disappointed when her mother tasks her with watching over a single grain of sand. When Pearl sets her mind to her task though, she finds that a little bit of love can go a very long way, and that even the smallest grain of sand (or mermaid) can become something great! With beautiful colored pencil drawings done by the author, and a heartwarming story to boot, this is everything a picture book should be. Perfect for fans of On the Night You Were Born author Nancy Tillman, or the illustrated trilogy by Aaron Becker, Journey, Quest, Return.